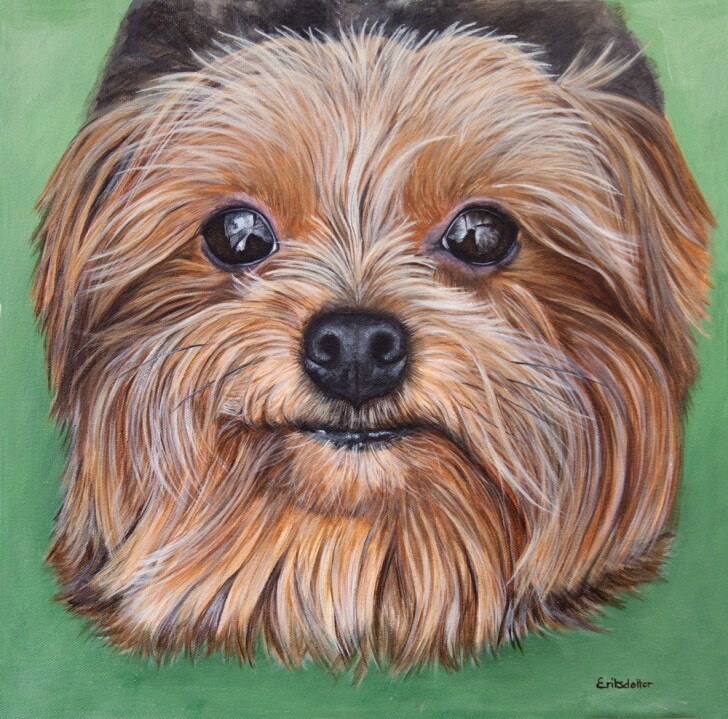 Lexie’s Portrait is an original painting commissioned by a client in Virginia who wanted to give his wife something special for her birthday. Like so many others, he found me by researching local pet portrait artists around Washington DC. It’s such a cool feeling when they say they liked your work the best out of all the wonderful artists out there. Amazing. 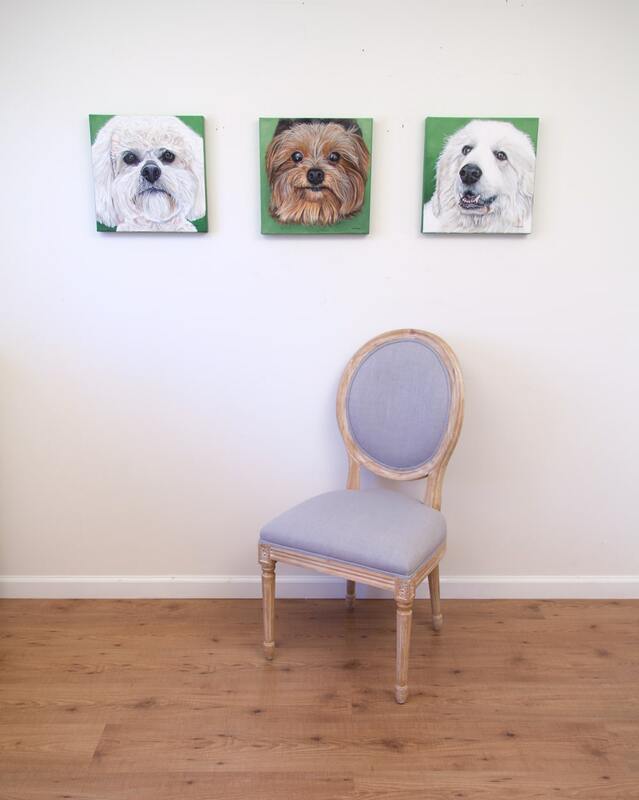 Besides the wonderful birthday painting, he also commissioned portraits of his other two dogs and I decided to paint them all within the same time frame make sure I had a nice unified feel to them all (not that I can’t create that otherwise, it was just easier to work on them together). More about the others to come. My client sent several wonderful photos of Lexie for me to work with and a great write up about her character. 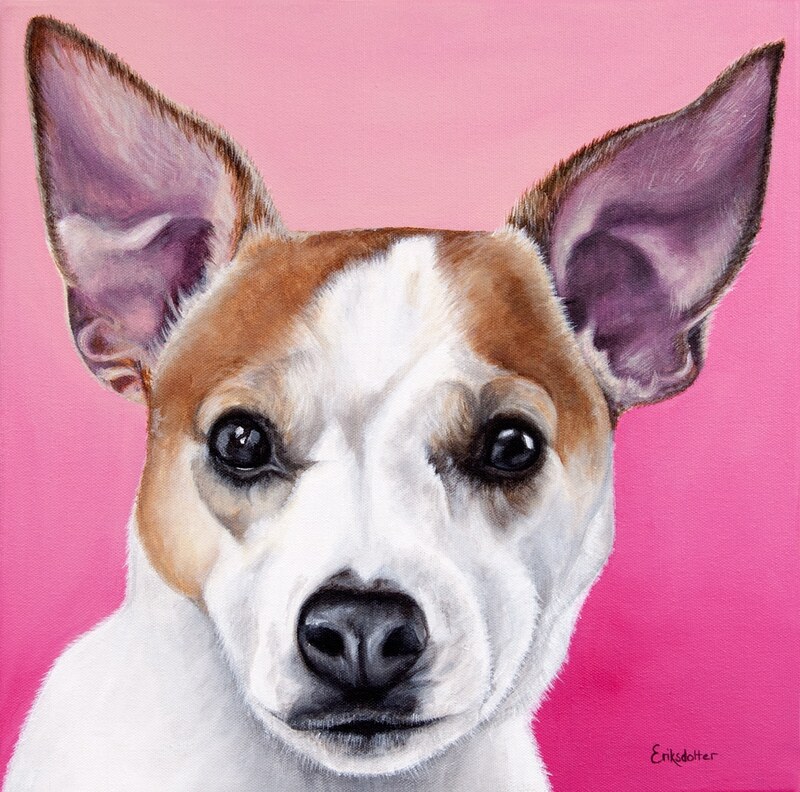 He shared with me that Lexie was actually a birthday present for his wife 8 years ago – how fitting to give a portrait of her as another birthday gift! 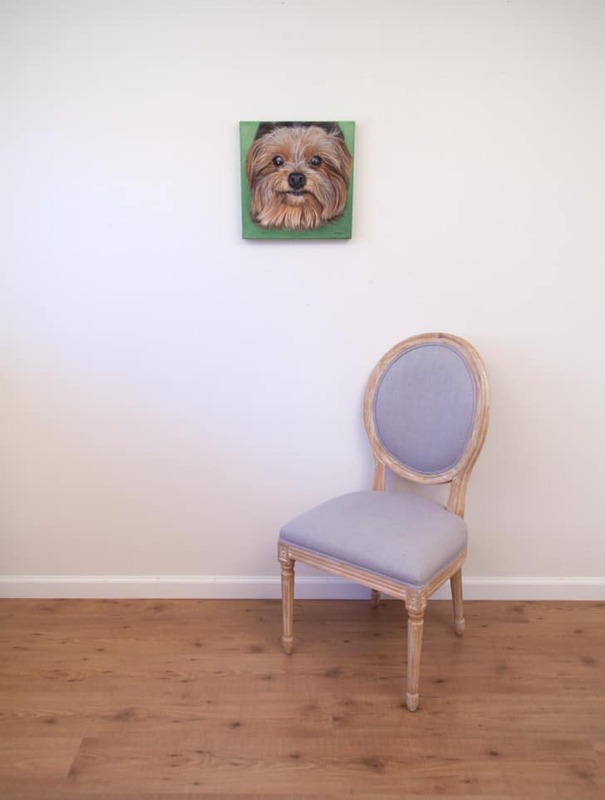 Their darling dog is a typical yorkie “very hyper, opinionated, entitled, but absolutely lovable,” traits I’m very familiar with as I grew up with a yorkie. 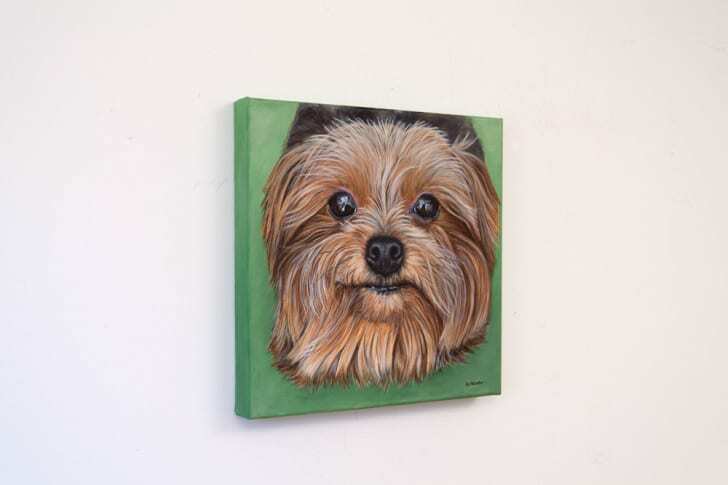 And I agree that when you look at a yorkie’s face you see the wheels are constantly turning. “She is smart, sneaky and completely shameless.” Love it! I’m grateful that my clients thought I had captured her personality to a tee. 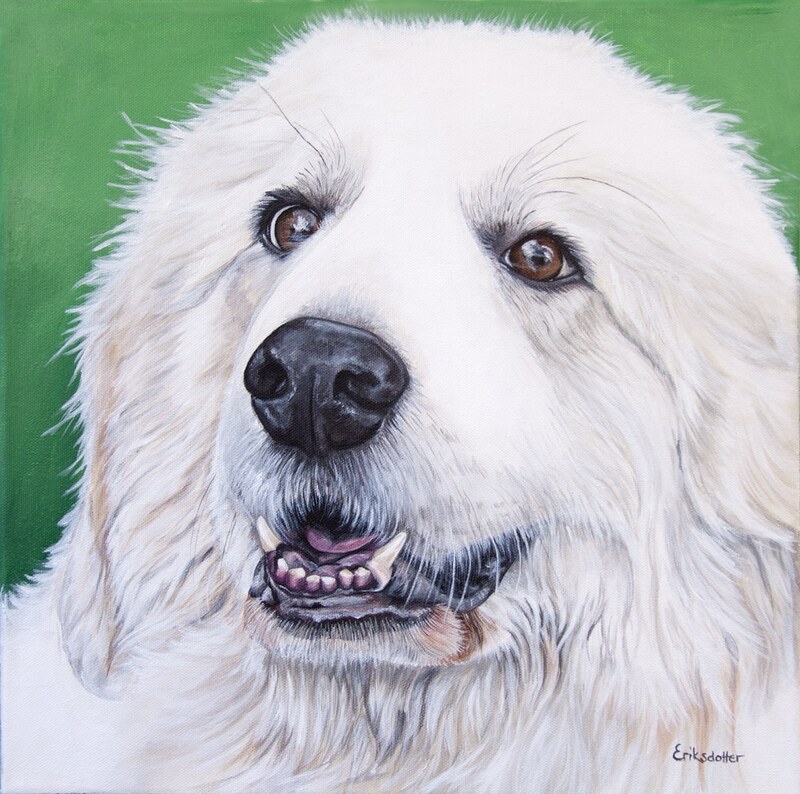 When going over the photos of my clients dogs, I felt they (and their fur) would work really well against a green background color. I’ve painting multiple portraits for clients before and sometimes they work well with the same color and other times you just know each needs their own color. 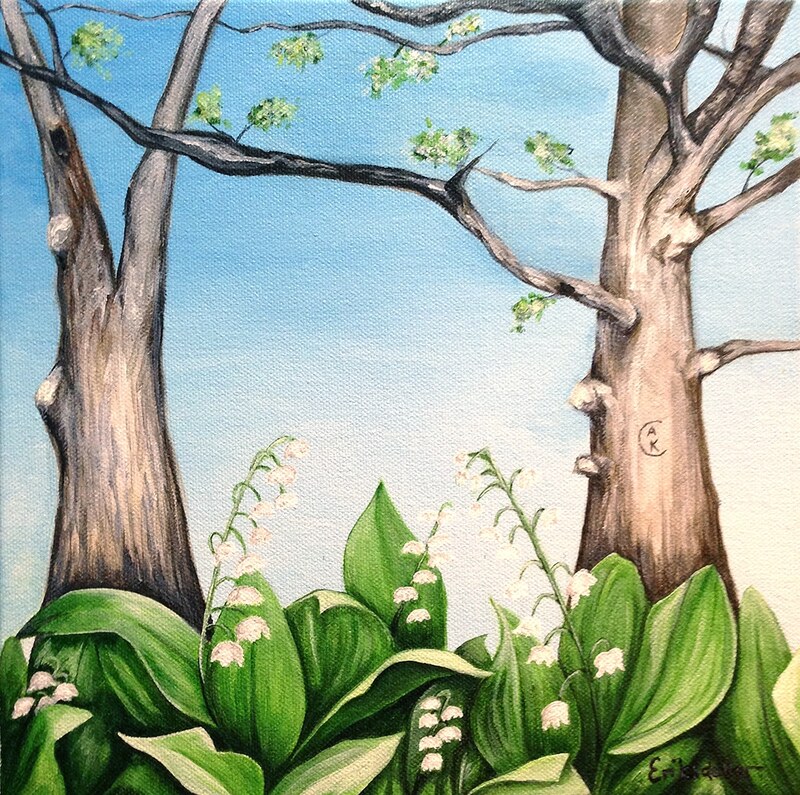 The painting measures 12 x 12 inches and is painted on a 1.5 inch (4 cm) deep gallery wrapped canvas. All sides are painted with the background color. 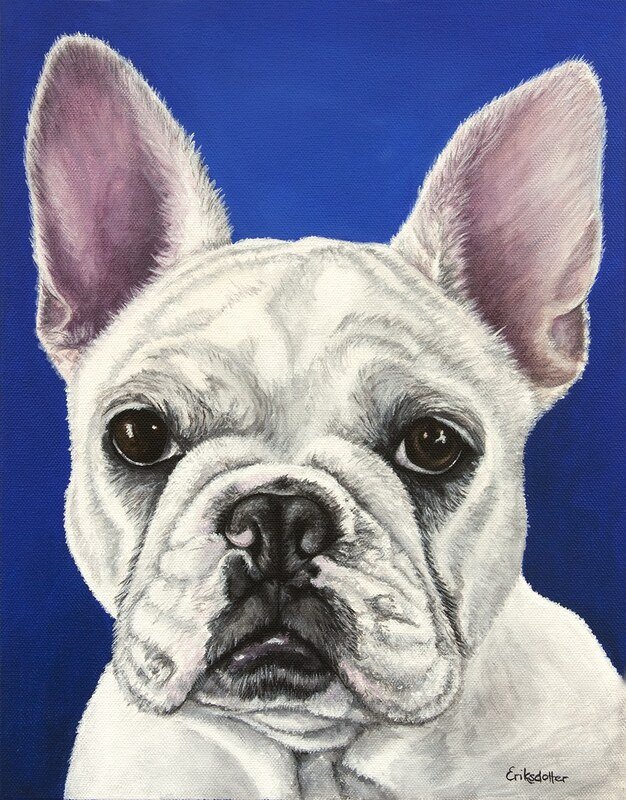 View more photos of this painting and other pet portraits in the gallery, and if you’re interested in commissioning your very own pet portrait, please fill out this form to get started.